Director: Ari Aster. Cast: Toni Collette, Alex Wolff, Gabriel Byrne, Milly Shapiro, Ann Dowd, Mallory Bechtel, Jake Brown. Screenplay: Ari Aster. Twitter Capsule: Bold risks with sound, montage, structure, light. Almost too good at evoking despair. Some bits are newer than others. 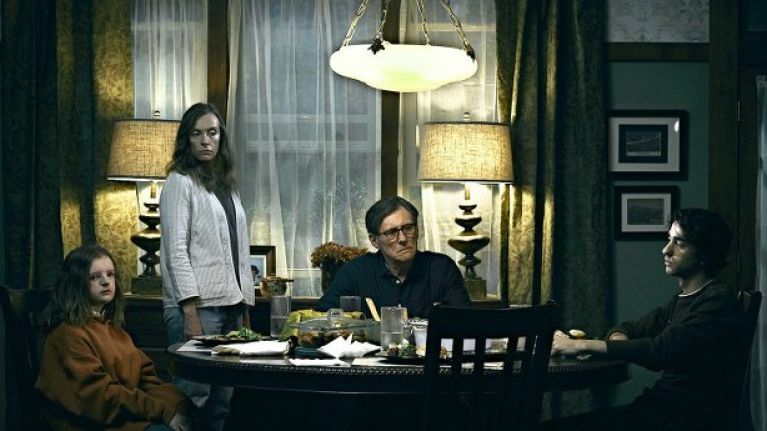 Second Capsule: Hereditary is an original, crafty, terrifying horror movie but also a bottomless well of despondency. Only go if you know you can handle it. VOR: ④ Even when it borrows tricks, it deploys them slantwise. From the lighting to the plot twists to the performance style, everything's a gutsy risk.